Scholar-Activist Project Awards are single-year grants of up to £10,000.00 intended to support collaborations between academics and students and non-academic activists (from non-governmental organisations, think tanks, social movements, or community/grassroots organisations, among other places), including programmes of action-orientated and participatory research and publicly-focused forms of geographical investigation. They offer opportunities for scholars to relate to civil society and make mutually beneficial connections. International Workshop Awards are single-year grants of up to £10,000.00 available to groups of radical/critical geographers staging events (including conferences, workshops, seminar series and summer schools) that involve the exchange of ideas across disciplinary and sectoral boundaries and intra/international borders, and lead to the building of productive, durable relationships. They make capacity-building possible by enabling the development of a community of researchers. 2018 was the first year the Foundation solicited applications for “follow-on” funding. 24 months on, 2016’s cohort were invited to apply for a single £10,000.00 grant; all Awards should have implications for praxis, and this grant is intended to support the most innovative and creative dissemination, enable outcomes to be further developed so their potential can be fully realised, and build durable legacies. The inaugural “proof of concept” fund went to Megan Ybarra (University of Washington) and Maru Mora Villalpando (Latino Advocacy; http://www.latinoadvocacy.org), who will continue their work with Northwest Detention Center Resistance (https://www.nwdcresistance.org). Their Antipode Foundation Scholar-Activist Project Award enabled the publication in 2017 of A Hunger Strikers Handbook / Un Manuel Del Huelguista in both English and Spanish. The book outlines the history and present condition of resistance to the detention and deportation of immigrants in Washington state. Megan and Maru will continue the project with further research and a documentary to be released in 2019. Like the book, the documentary should stand as a fitting testimony to the ongoing struggle and offer lessons to all those resisting unjust and exploitative regimes. Congratulations to all the recipients of IWAs and S-APAs (we’ll be hearing more from them as their workshops and projects develop over the next 12 months), and thanks again, and the best of luck, to all our applicants – there really were some excellent proposals! 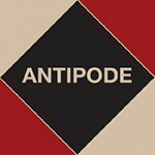 This entry was posted on 10 August 2018 by Antipode Editorial Office in News and tagged Antipode Foundation, Antipode Foundation International Workshop Awards, Antipode Foundation Scholar-Activist Project Awards, Crisis, environmental justice, homelessness, indigeneity, Los Angeles, policing, postcolonialism, public space, refugee crisis, resistance, Roma communities, solidarity, South Asia, sovereignty, the EU, the solidarity economy.